Fernandez, C. -. (2012). Trends in Global Higher Education . Fernandez, C. -., & Finch, J. K. (2012). Vulnerable Immigrant "Subjects:" Definitions, Dilemmas, Disparate Power, and Desired Benefits". In add later . Fernandez, C. -., & Finch, J. k. (2012). The Universality of University: Preparing World Citizens. Fernandez, C. -. (2010). Corridos: Stories of the People. Fernandez, C. -. (2010). Corridos. Fernandez, C. -. (2010). Lowriders. Fernandez, C. -. (2012, 2012-04-01). El Corrido y La Frontera Mexico-Estados Unidos . Binational Migration Institute Week. University of Arizona. Fernandez, C. -. (2012, 2012-05-01). Cultural Diversity in Arts and Culture . Hispanic Leadership institute. Pima Community College. Fernandez, C. -. (2012, 2012-05-01). The U.S.-Mexico Border Via the Corrido . Tucson Retired Physicians Forum. Tucson. Fernandez, C. -. (2012, 2012-10-01). Internationalization and Accreditation . AMPEI Annual Confrence. Ensenada, Mexico. Fernandez, C. -. (2012, 2012-10-01). Tendencias Internacionales Sobre Instrumentos y Procesos de Evaluacion . COPAES. Mazatlan, Mexico. Fernandez, C. -., & Finch, J. K. (2012, 2012-02-01). The Border Patrol and Reality TV: A Content Analysis of Border Wars . International Forum for the Study of Borderlands Cultures. University of Arizona. Fernandez, C. -. (2011, 2011-03-01). Immigration Corridos . Immigration Week. Poetry Center, UA. Fernandez, C. -. (2011, 2011-03-01). Impacts of Hispanic Culture on Southern Arizona . Greater Tucson Leadership. Temple of Music and Art. Fernandez, C. -. (2011, 2011-04-01). Peligro en el Desierto . Poverty and Climate in the Southwest. UA. Fernandez, C. -. (2010, 2010-01-01). How Immigration Affects Education . The Immigration Community Forums. Tucson. Fernandez, C. -. (2010, 2010-02-01). Cultural and Economic Impact of Immigration . Greater Tucson Leaderhsip. Tucson. Fernandez, C. -. (2010, 2010-02-01). The U.S. Mexico Border: Issues and Realities . Exploritas. Tucson. Fernandez, C. -. (2010, 2010-03-01). Applying for Jobs in Academia . Pacific Sociological Association. Oakland, CA. Fernandez, C. -. (2010, 2010-03-01). Through the Lens of Immigrants . Immigration Awarenss Week. University of Arizona. Fernandez, C. -. (2010, 2010-09-01). Facts About Contemporary Immigration: 1965 to Present . Speakers Series. St. Frances Cabrini Church. Fernandez, C. -. (2010, 2010-09-01). The History and Culture of the Corrido Tradition . Corrido Happenings. UA Poetry Center. Fernandez, C. -. (2010, 2010-10-01). Bigotry, Prejudice and Discrimination . Speakers Series. Green Valley, AZ. Fernandez, C. -. (2010, 2010-10-01). Corridos of the U.S.- Mexico Border: The Stories and the Music . Speakers Series. Prescott, AZ. Fernandez, C. -. (2010, 2010-10-01). Corridos: The Sounds of the Mexican Revolution . Speakers Series. Phoenix, AZ. Fernandez, C. -. (2010, 2010-10-01). Jews in Mexico . Speakes Series. Sun City Vistoso, AZ. Fernandez, C. -. (2010, 2010-12-01). The Immigration Debate Through Corridos . Speakers Series. Tucson. Fernandez, C. -. (2010, 2010-12-01). The Role of Women in the Mexican Revolution as Portrayed Through Corridos . Stories & Music of the Revolution. Tucson. Fernandez, C. -., & Finch, J. K. (2010, 2010-04-01). Vulnerable Immigrant . Between the Lines: Border Research and Methods. Tucson High School. Fernandez, C. -. (2009, 2009-03-01). Corridos, Cesar ChĂˇvez and the Framworkers . Tucson High School. Fernandez, C. -. (2009, 2009-04-01). Mariachi Music and Culture . Conference. Tucson. Fernandez, C. -. (2009, 2009-06-01). Integrity in Online Education . Santiago, Chile. Fernandez, C. -. (2009, 2009-08-01). Una Univerdidad Nueva Para Un Siglo Nuevo . Cusco, Peru. Fernandez, C. -. (2009, 2009-09-01). Plyler: The Case of Higher Education . Tucson. Fernandez, C. -. (2009, 2009-09-01). Taller: Vista WASC 2009 . Meeting. Mexicali, Mexico. Fernandez, C. -. (2009, 2009-10-01). Sociology and the Power of Stories . Conference. Mt. Pocono, PA.
Fernandez, C. -. (2009, 2009-10-01). The Mexican Immigration Experience Through Corridos . Speakers Series. 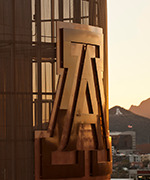 Mexican American Studies (UA). Fernandez, C. -. (2009, 2009-11-01). Adversity and Diversity . Awards ceremony. Tucson, AZ. Fernandez, C. -. (2009, 2009-11-01). The Tenure Process: Lessons Learned from the Trenches . Speakers Series. University of Arizona. Fernandez, C. -. (2009, 2009-12-01). Documenting and Interpreting the Mexican Revolution: Casasola and Corridos . Speakers Series. University of Arizona. Fernandez, C. -. (2008, 2008-03-01). AcreditaciĂłn de la EducaciĂłn Superior en EE.UU. . Workshop. Mexicali, Baja California Norte (Mexico). Fernandez, C. -. (2008, 2008-03-01). Mariachi Music and Culture . Greater Tucson Leadership. Tucson, AZ. Fernandez, C. -. (2008, 2008-03-01). U.S. Immigration Policy: Enter Here/Do Not Enter . Ethnic Media Fellowship Conference. Green Valley, AZ. Fernandez, C. -. (2008, 2008-04-01). A Special Emphasis Self-Study: A View From Both Sides . Annual Meeting of The Higher Learning Commission. Chicago, IL. Fernandez, C. -. (2008, 2008-04-01). Corridos, Cesar ChĂˇvez and the Framworkers . High School History Class. Catalina High School; Tucson, AZ. Fernandez, C. -. (2008, 2008-04-01). Respect, Diversity and Communication . St. Elizabeth Health Center Annual Retreat. Tucson, AZ. Fernandez, C. -. (2008, 2008-04-01). The Other Visits: Special Emphasis, Focused, Pre-, and Advisory . Annual Meeting of The Higher Learning Commission. Chicago, IL. Fernandez, C. -. (2008, 2008-10-01). Mexican Immigration Through Corridos . Binational Migration Institute. Tucson, AZ. Fernandez, C. -. (2008, 2008-11-01). Globalization: From Migration to Popular Culture . Huether Lasallian Conference. St. Louis, MO. Fernandez, C. -., & Colchado, J. (2008, 2008-10-01). Latino Demographics, Power and Influence . Arizona Association of Chicanos for Higher Education (AACHE). Phoenix, AZ. Fernandez, C. -., & Holscher, L. M. (2008, 2008-04-01). La Bamba in the 21st Century . Annual Meeting of Western Social Science Association. Denver, CO.
Fernandez, C. -. (2012). El Corrido de Raul P. Saba. Fernandez, C. -., Rubio-Goldsmith, R., & Alvarez, M. (2012). No Vale Nada La Vida: Migrant Deaths in the Arizona Desert..
Fernandez, C. -. (2011). La Semana de la Inmunizacion. Fernandez, C. -., Rubio-Goldsmith, R., & Alvarez, M. (2011). No Vale Nada La Vida: Migrant Deaths in the Arizona Desert..
Fernandez, C. -. (2010). Apuntes Sobre el Corrido. Fernandez, C. -. (2010). Ay Que Vota!. Fernandez, C. -. (2010). Corrido a Don Joel Valdez. Fernandez, C. -. (2010). Corrido a Don. Fernandez, C. -. (2010). Corrido a la Maestra Raquel Rubio Goldsmith. Fernandez, C. -. (2010). Corrido al Dr. Fernando Leon Garcia. Fernandez, C. -. (2010). Corrido al Dr. John David Arnold. Fernandez, C. -. (2010). Los Del Partido Te. Fernandez, C. -. (2010). Running in the Dark. Fernandez, C. -., Rubio-Goldsmith, R., & Alvarez, M. (2010). No Vale Nada La Vida: Migrant Deaths in the Arizona Desert..
Fernandez, C. -. (2009). El Corrido de la Mujer Misteriosa. Fernandez, C. -., Rubio-Goldsmith, R., & Alvarez, M. (2009). No Vale Nada La Vida: Migrant Deaths in the Arizona Desert..
Fernandez, C. -., Alvarez, C. M., & Rubio-Goldsmith, R. (2008). No Vale Nada La Vida: Migrant Deaths in the Arizona Desert.